Home English Big Stories How Much Telugu Bigg Boss 2 Contestants Get Paid? How Much Telugu Bigg Boss 2 Contestants Get Paid? 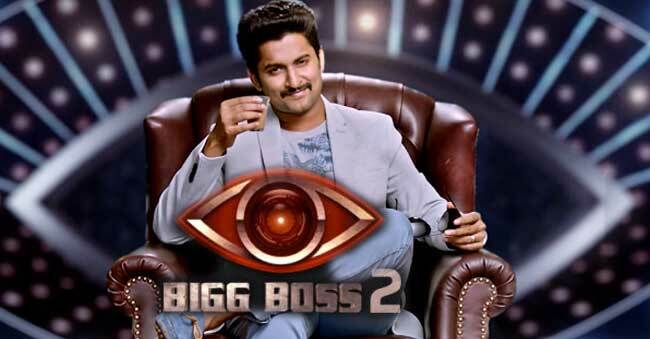 The Big Boss second season hosted by Nani kick-started on a great scale despite surrounded by controversies. Earlier we informed you that the show has 16 contestants including three commoners. Previously we informed you about Natural Star Nani’s remuneration. It was learnt that Nani’s remuneration is five times less than NTR Jr. While NTR Jr was paid Rs 50 lakh for each episode, Nani is only being paid Rs 10 lakh. Now can you guess how much the big boss contestants got paid? We have the brought the exclusive news for you folks. Apparently, inside sources say that singer Geetha Madhuri is the one of the entire lot, who got a handsome cheque of Rs 20 lakh irrespective of how many days she would stay in the house. On the other hand, Babu Gogineni, Tejaswi Madivada and Tanish have been paid Rs 8 lakh each. Meanwhile, Kireeti Damaraju, Samrat Reddy, Deepthi Sunaiana, Anchor Shyamala and Roll Rida have got Rs 5 lakh, while the others have got Rs 3 lakh remuneration each.